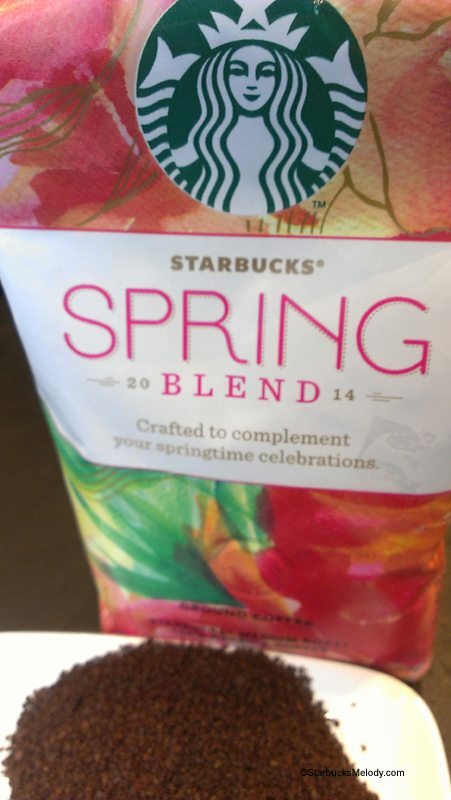 Be on the look out for an all-new Starbucks coffee: Starbucks Spring Blend Coffee. Look for it at grocery stores and at other similar retailers*. I found it at Barnes & Noble recently. This new coffee is described as having flavors of milk chocolate and sweet orange. It’s a blend of East African Beans and some Latin American beans, including coffee sourced from Peru, giving it that wonderful milk chocolate flavor. 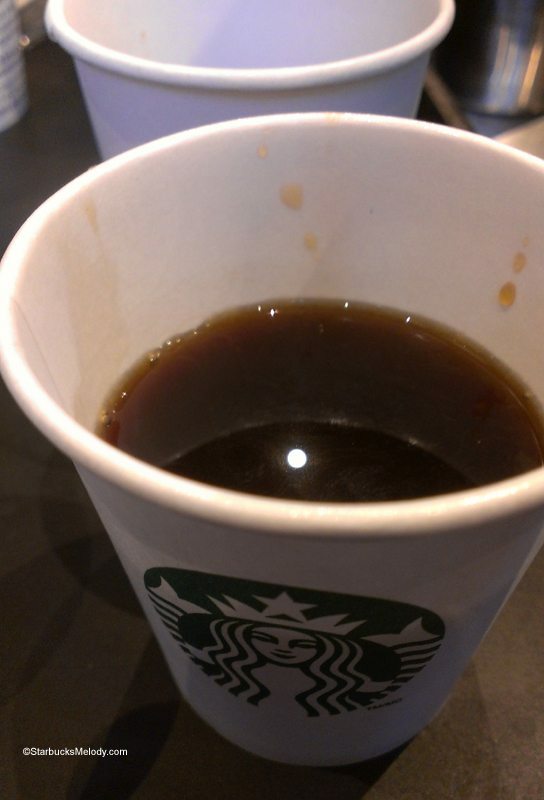 The roast profile is a medium roast profile. Think of it as a little darker than House Blend (at least, that’s my wild guess.). 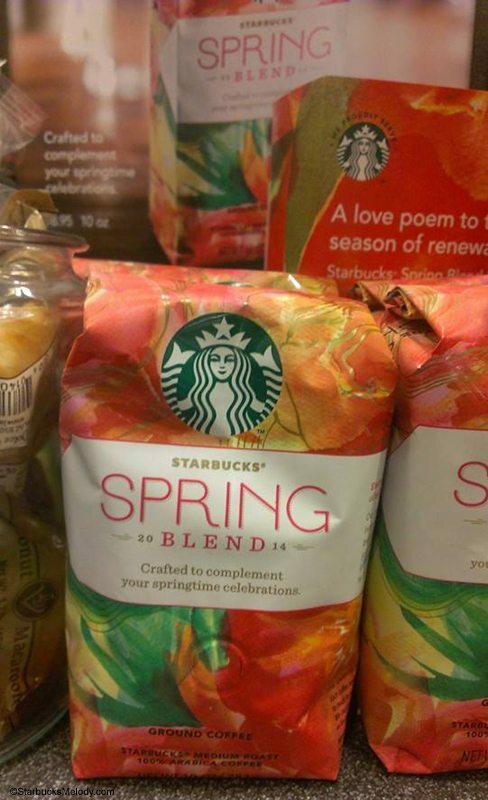 I imagine that Spring Blend would be amazing iced. There is a lot of flavor notes from the East African component. 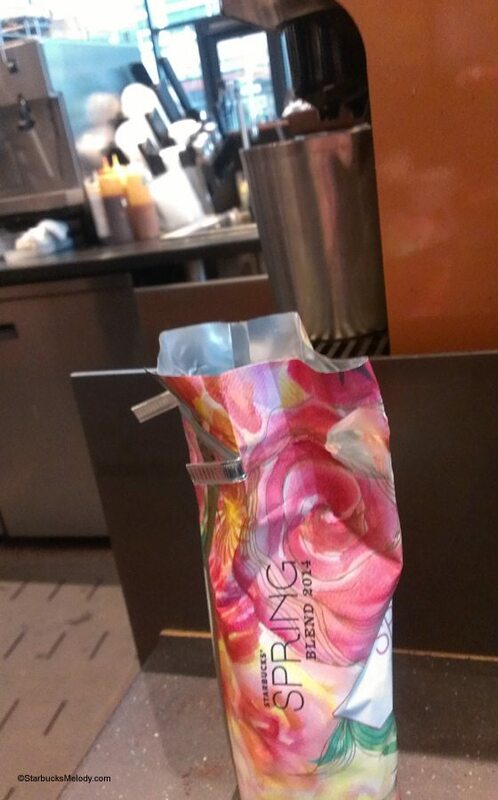 I took a bag of Spring Blend to Coffee Master Jess at Terry and Republican Starbucks, who hosted a quick mini coffee tasting for myself and a friend that I’d invited along. The coffee comes pre-ground, appropriate for a brew method with a paper filter, but Jess improvised and brewed it on the Clover. The Clover profile ground wasn’t too far off. This is delicious. The three of us loved it. It definitely has some juiciness to it. I got some of the milk chocolate in the aroma, and all three of us caught the distinct juicy orange flavors. The friend I was with commented that he thought it got juicier as the temperature cooled off. This is a seasonal offering so grab some soon before it’s gone. I strongly recommend that you give it a try! And, if someone has tried it iced, I’d especially like to know what they think. As just an aside, I think this packaging is gorgeous. It would make an amazing design for a Starbucks card or a mug. * This is part of the CPG category of coffee. CPG stands for consumer packaged goods, which includes all of the items that one might find at places like Target, Walmart, grocery stores, and even Barnes & Noble or Bed, Bath, and Beyond. CPG includes items like bottled Frappuccinos, K-Cups, packaged coffee, Starbucks hot chocolate, canned Refreshers in the grocery store, Via Ready Brew products in the grocery stores, and more. 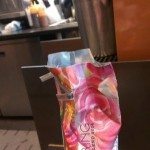 NEW: Teavana Iced Teas at Your Local Starbucks. Hi Melody, this sounds like a lovely coffee. And I agree that the packaging is really pretty, much better than Tribute Blends ‘bold’ redesign this year! Sounds like a wonderful coffee Mel. I agree, I love the packaging. I’ll be looking for this coffee. I agree that the packaging is beautiful and a card and/or mug with this design would have been great. So jealous of the lovely things Japan and other Asian countries get. @BeckyE – So true. I love it when I get emails with pics from Japan. The Asian countries often get way better merchandise. @Chris – Yes this is better than the Tribute Blend packaging! Though what I miss are packaging designs that have some romance to them and tell you a story about the coffee – like the old Verona bridge packaging. Not to say I don’t love some of the current lineup too. Nice packaging for sure. I wish SB would be more creative. The overall look of the store’s design is somewhat lackluster. I agree this design would make a great SB card. I really, really hope I can track this one down!!! I adore African coffees! The packaging makes me swoon too, I’m such a sucker for pastels and Spring things. Wish me luck, everyone! @Hayley – Good luck. Let us know where you find it. 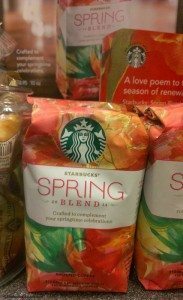 When I was writing this, I did some Google searches and it looks like Spring Blend came up on Walmart.com so they should have it. There’s no Walmart anywhere near me, so I haven’t checked. @Dylan – I want to hear your review after you’ve tried it. Michelle- what are you redeeming the code for? 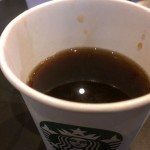 Your free tall coffee at a Starbucks store? They should just give you the tall coffee and know the code for a free tall coffee. Clare- If you like Anniversary Blend, try the Tribute this year. It’s bolder than years past. (I agree I’m not a fan of the changes in the packaging this year.) I think it should be available as the bold option this week. Or ask for a French press if not so you can sample it. michelle, u are not the only one having trouble with the star code redemption. it didnt work on my end either. i typed it in 5 times. @Jocelyn and @Michelle – It looks like you’re right. I just tried entering a white star code and it didn’t work. The new star codes that come on the white stickers appear not to work? 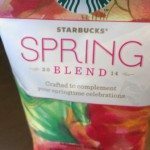 Melody, I also just tried the star code on a bag of Spring Blend I picked up yesterday at Walmart. It didn’t work so I’ve emailed Customer Service. They should have heard from plenty of people by now and hopefully will get this worked out.